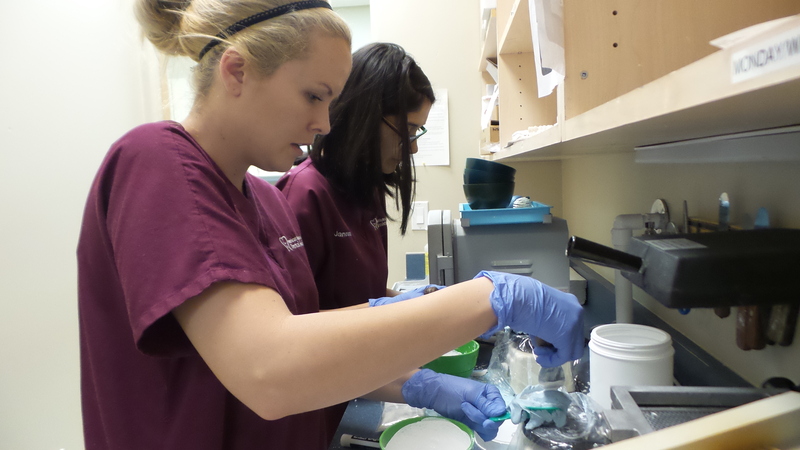 Students learn a wide range of dental assisting skills during their training. Some of these skills are quite easy to do, others are more difficult. Some of them may not be used often while others are used on a daily basis. One very important skill that they learn is how to take an impression. A dental impression is an imprint, or negative, of the mouth. It includes prints of both the teeth and the gums. Once the impression is set, it can then be made into a model which will show all of the structures and details of a persons mouth. Impressions are made out of a semi-solid alginate material. The material will start out very soft, almost liquid, and will get firmer as it sets up. The firming process happens very quickly and will usually only take a few minutes. Impressions are taken in a dental office, usually by the dental assistant or dentist. Taking impressions is one of the dental assisting skills that they learn during their training. First, the assistant will mix the powdered impression material with water in a small bowl to form a liquid. Then they will fill a mouth tray with the material and press it against the part of the mouth that needs an impression. This can be an entire arch or just a small portion of the mouth, depending on what the dentist is using it for. The impression will sit on the teeth for just a few minutes to firm up before it is removed. Do you need an impression? Learn about some useful tips for taking a good impression. What are impressions used for? Dental impressions are used to create a model, or replica, of the mouth and especially the teeth. Once an impression is set, it is usually taken to the lab room in the office to be turned into a model. There it will be filled with a special type of model stone and left to dry for a few hours. Once dry, the impression is removed and a model of what the persons teeth and gums look like is formed. This model is crucial to making dental supplies such as dentures, crowns, bridges, orthodontics and other restorative and prosthetic devices. It helps a dental lab technician to know exactly what size and shape to make the devices. If a impressions is not taken well or the individual has never been trained properly how to take impressions it can lead to poor impressions and poor final dental restoration. 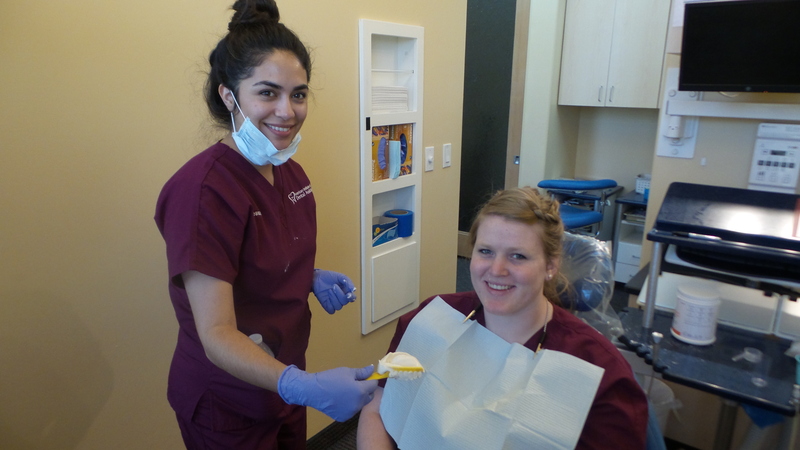 Dental assisting skills are used in all parts of improving a persons oral health. From taking the impression to fitting a crown, their knowledge and skills play a powerful role in the dental office. 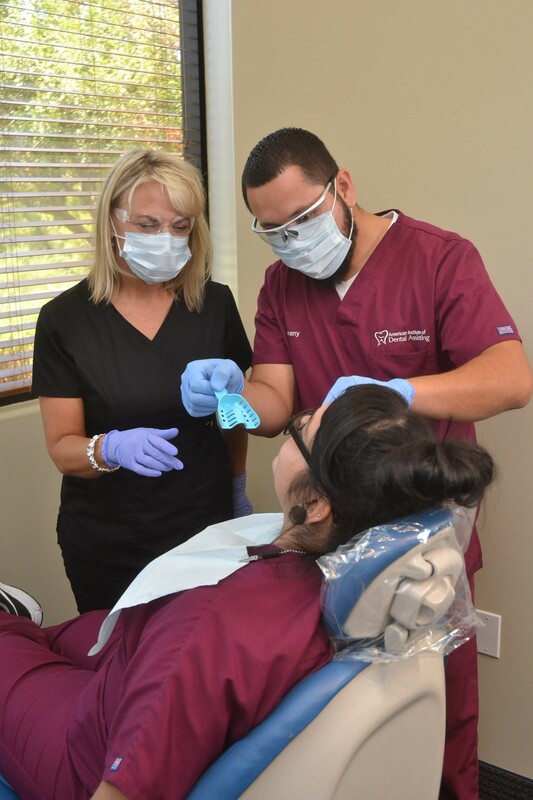 A persons dental assisting skills are a valuable tool to any dental office. That is one of many reasons why a good dental assistant needs to have excellent hands on training. To learn more about being properly trained in taking impressions contact us today.